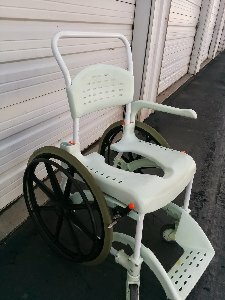 This shower wheel chairs is in good shape. Rolls really easy and is sturdy and ready to go. It is missing 1 of the arms, but is other wise complete.